Over the period from January 24 through January 27, 20013, I participated in the annual National Board of Directors meeting, for the State of Israel Bonds. At our opening dinner, Bob Woodward was the key note speaker and captivated the audience with his stories of Watergate, both Hillary and Bill Clinton, his perspective of the Obama Administration, and many of the critical issues facing the Administration and America today. It was a true privilege to meet him and to listen to him speak, and to participate in the question and answer period that followed his talk. Clearly, Bob Woodward has a unique and intimate knowledge and perspective of American politics. 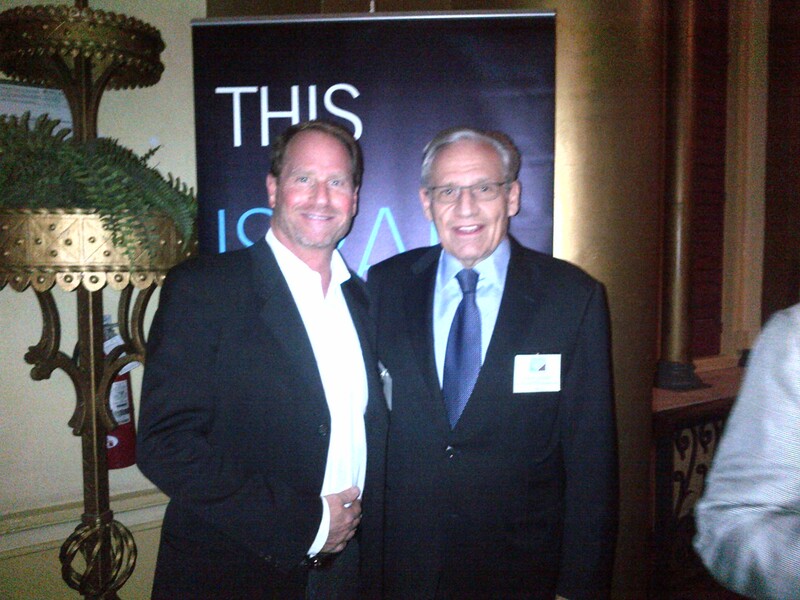 Kent Swig (left ) and Bob Woodward at an Israel Bonds National Board of Directors Meeting. 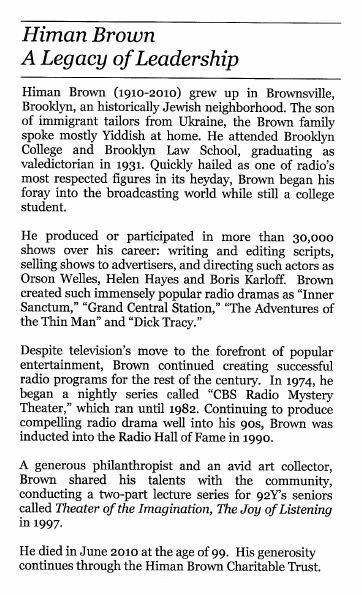 This past December 4, 2012, I had the true privilege to listen to former British Prime Minister Tony Blair speak at Central Synagogue as part of the second Himan Brown Charitable Trust Lecture. 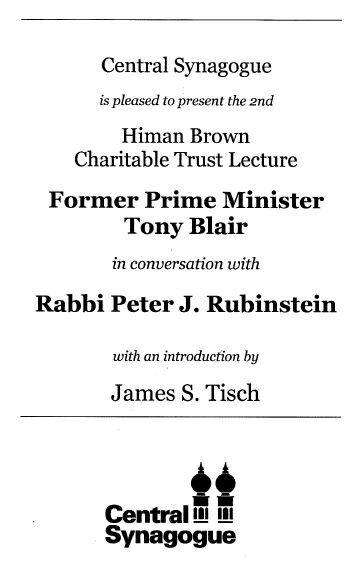 Tony Blair was interviewed in a wonderful format structured as a “chat” with Rabbi Peter Rubenstein and was introduced by James Tisch. The conversation with Tony Blair was truly fascinating and Rabbi Rubenstein brought out conversations and stories form Tony Blair that were so personal and introspective that at one point, Tony Blair stopped himself from speaking and commented to the Rabbi, “boy, are you good”, indicating that he had never spoken of such personal matters in public before. At which point, Rabbi Rubenstein replied, “just think of me as Peter and not as ‘Rabbi Rubenstein’”, to which the former Prime Minister answered, “ok…’Rabbi’ Peter”. And so the conversation went on. *Gaza, he said, was among the biggest lost opportunities by the world by not making Gaza a true prototype of success for the entire Middle East. *Where there is no revolution in the Middle East, one needs to actively promote evolution towards democracy and a free society. *Israel should be a model for other countries in the Middle East when it comes to the rule of law and an open society. *Interfaith tolerance is critical to the success, prosperity, and peace in the Middle East as one religion cannot be the only way to achieve salvation, i.e….with 7.2 billion people populating the earth, there is more than just one way to salvation. Tony Blair is truly an extraordinary person and one of the great world leaders of our time.